Mr KEOGH (Burt) (13:01): Almost two years ago the Australian electorate voted for a Turnbull government, and what have we ever got in return? Nothing. Well, actually, no; I'll rethink this—it may even remind some of a movie—because it's not entirely true. What has the Turnbull government ever done for us? Longer Centrelink wait times. 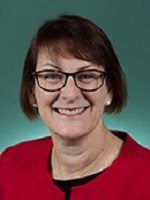 Following massive cuts to frontline Centrelink staff by this government, I have received calls from my constituents on nearly a daily basis, often multiple times, complaining that they have spent upwards of 20 minutes, sometimes closer to an hour, waiting to speak to a DHS member on staff. And the experience in-centre is not much different. 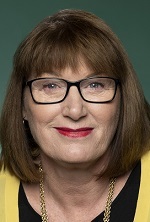 Last year senior staff from the Department of Human Services told a Senate estimates hearing that an average time to speak to an operator is 14 minutes and 10 seconds, firmly within their target of 16 minutes. But why is this so different from the experience of so many of my constituents? Well, that's because in the 2015-16 financial year over 42 per cent of calls were blocked. This means that the lines were engaged, so the calls never made it through in the first place. Of those who were lucky enough to make it onto the 'hold' queue, 18 per cent were abandoned, and the caller hung up before the issue was fixed. The crazy thing about all of this is that if you did hang up then of course the department would count the call as—wait for it!—'resolved', regardless of whether it really was or not. And if your call was transferred to another line, the clock would start again, because Centrelink considered the initial inquiry to be, again, 'resolved'. So, it's entirely possible that with a few line transfers you could be on the phone for up to an hour and the phone call would still apparently be well within the department's target. It's also important to remember that the 14-minute figure I mentioned earlier is just an average. There are plenty of people spending much longer than that stuck on hold, In fact, the average speed to answer youth and employment lines were both over 25 minutes, and for disability phone lines it was close to a 24-minute wait time. So, yes, the Turnbull government gave us that. Come to think of it, they also gave us the robo-debt disaster. We also get plenty of constituents who contact us to voice their concerns about the inequality of the government's NBN rollout. Labor had a plan to give all premises, all residents, fibre to the premises, putting everyone on an even playing field. Now Australians are subject to the game of NBN roulette. They might be lucky and have fibre to the premises or maybe even fibre to the kerb. But, in a significant number of cases, they have fibre to the node. This can be slow and unreliable, particularly in older areas, like mine, where the copper wires have not been replaced for some time—and I am talking decades. We are talking close to centuries. Even worse, you might find yourself in a service class zero home with no internet access, no phone access and no end in sight. For a lot of my constituents, the NBN is so far off that they haven't even had to think about these issues yet. In doing this, the government has created a digital divide. They don't care if you are trying to run a business from home—for all of their talk of small business—or if you telework or if your kids are at school and need access to a stable internet connection, and they really don't seem to care that there are a huge number of people with medical issues who need access to a working phone line in order to feel safe or indeed to be safe. So, yes, obviously the government has given us the NBN. The NBN goes without saying. But, apart from the long Centrelink wait times, robo-debt, mobile blackspots and the NBN, what has the Turnbull government done for us? Oh, it's given big businesses a tax cut, it's made cuts to Medicare and it's failed to provide a solution to WA's unfair GST distribution. Yes, the government has done all of that. So I guess the government has actually done quite a bit since its election. But what has the Labor Party ever done for us? Well, we blocked the government's citizenship changes. Before this legislation was even close to being law, the Department of Immigration website was advising citizenship applicants that they would have to comply with a whole new set of criteria, including an additional four-year wait and a university-level English test. When Sandra and her kids moved from the UK to the suburb of Gosnells in 2009, they, of course—expectedly almost—fell in love with the Perth hills, the local bushlands, the friendly people and the not-too-far-away gorgeous beaches. They knew they wanted to become citizens and they knew they'd have a lengthy wait ahead of them. After three years of falling in love with Australia and complying with the strict travel requirements imposed on citizenship applicants, they were disappointed and angered to hear that the government wanted to add another four years to their wait. This meant an eight-year wait all up. Sandra was also incredibly nervous about sitting an English test with the bar set at university level. Sandra worked in aged care and was good at her job, but she never went to uni and the idea of having to sit an exam absolutely terrified her. If someone from England is nervous about sitting an English test then imagine the impact on those who have come from a non-English speaking background. As anyone who was forced to learn a second language at school will know, it is hard work, it is difficult and it requires a high level of intelligence to become bilingual. Of course we should be encouraging new migrants to learn conversational English, but setting the bar at university level is, quite frankly, elitist and it's out of touch. It sets a double standard. So I was so proud to be able to tell people like Sandra in my electorate, who love Australia and are committed to becoming citizens, that, despite what had been advertised on the department's website, they would no longer have to worry about such a ridiculous requirement that had not actually ever—thanks to the work of Labor—become law. Mr KEOGH: Yes, education. Thank you, Member for Lalor. Imagine that—Labor has properly funded, and has plans to again properly fund, education. What else has Labor done? What has Labor ever done for us? Now that I think about, in addition to sewerage and education, Labor has properly delivered roads. 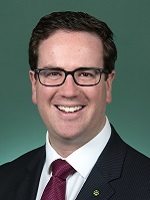 The government often talks NorthLink in Western Australia. Well, guess what? It's a Labor project. What else has Labor ever done for us? Health. Mr KEOGH: Medicare! Labor delivered Medicare—under constant threat by the Liberal Party, but Labor delivered Medicare. What else has Labor done for us? Well, Labor has done many things. Labor put forward an actual plan for NBN. Labor has put forward actual plans to try and help with housing affordability. Labor has put forward all of these plans even while we're in opposition. Meanwhile, all this government has delivered while it has been in power is a litany of failure. People come into my electorate office or they phone—when their phones are working—to complain about the things that this government is doing. But Labor has a true track record of delivery. Those on the other side may scratch their heads and think, 'What has Labor ever done for us?' But it is surprising the things that do not occur to them—things like standing up for people's working conditions in their workplaces, making sure that they have safe workplaces, making sure they have things like penalty rates and are able to look after their families, ensuring their kids can get a good public education and that their schools are properly funded, and ensuring that is there is a properly functioning health system in this country that is accessible to all people and is not being consistently undermined by those opposite. Many times we hear—sometimes in the media and sometimes from people in our communities who may accost us in the streets—people say, 'I don't know what the difference is between the major parties.' If there is anything that is truer and clearer, it is that there are fundamental differences between our parties. The people opposite like to talk about being there, for instance, for small business, as I mentioned before. If there is one way—this is so crystal clear—in which this government is failing small business it is in its failure to deliver a properly-functioning, 21st-century broadband network for this country. But, at the same time, it is also failing small business because, instead of helping small business grow by making sure that Australians are in a position to buy the goods and services that those small businesses sell, this government is taking the money out of the hip pockets of ordinary working Australians on a regular basis, whether through not protecting their penalty rates or through increasing the Medicare levy that will be paid by ordinary Australians. At a time when there is economic fragility around the world, what does this government do? It takes money out of their pockets. And—wait for it—what has this government done for us? Big corporate tax cuts are what it proposes. Their priorities are writ clear every time they open their mouths or introduce legislation into this House. Their priorities are not about ordinary working Australians. The thing that this government has done for us is zilch. The thing that this government has done for ordinary working Australians is nada. It is and always will be only Labor that delivers for ordinary Australians to make sure that ordinary Australians have what they need in their hip pocket to provide for their families, that they get a good education, that they have a health system that will look after them and that there is a properly functioning welfare system to pick them up when they fall down. That is the fundamental difference between the two major parties and the two major groups in Australian politics today, and it is a record of which I am proud, it is a record of which everyone on this side of the chamber is proud and, quite frankly, it's a record that those on the other side should be ashamed of.